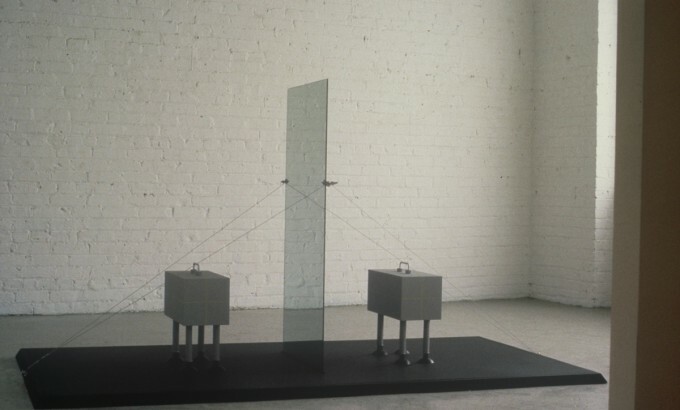 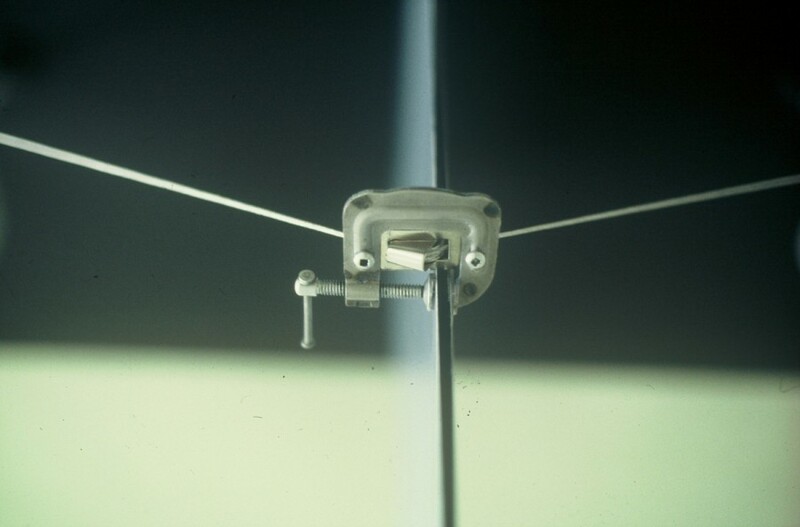 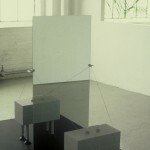 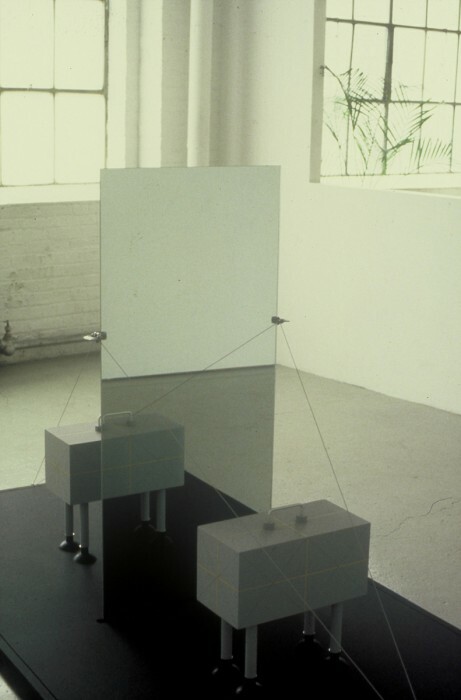 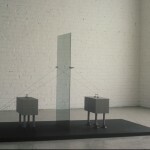 This construction represents a silent equation implicit in the phenomenon of reflection: ‘the virtual image is a the same distance “behind” a reflective surface as an “object” is in front of it. 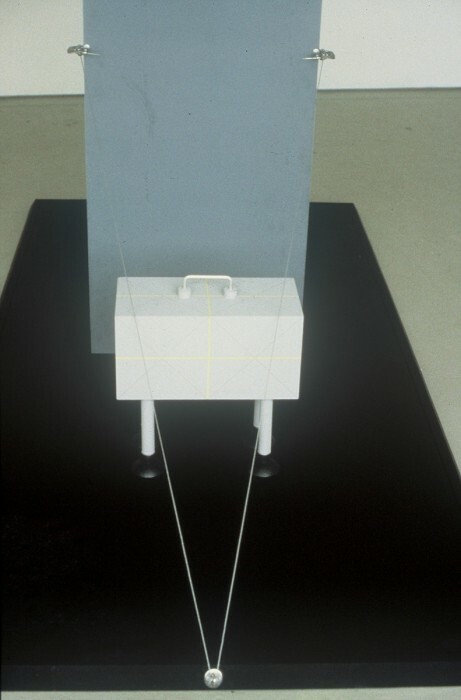 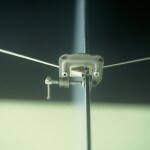 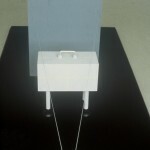 The machine is meant to sustain this equation in absence of a person, – as a theoretical construct. 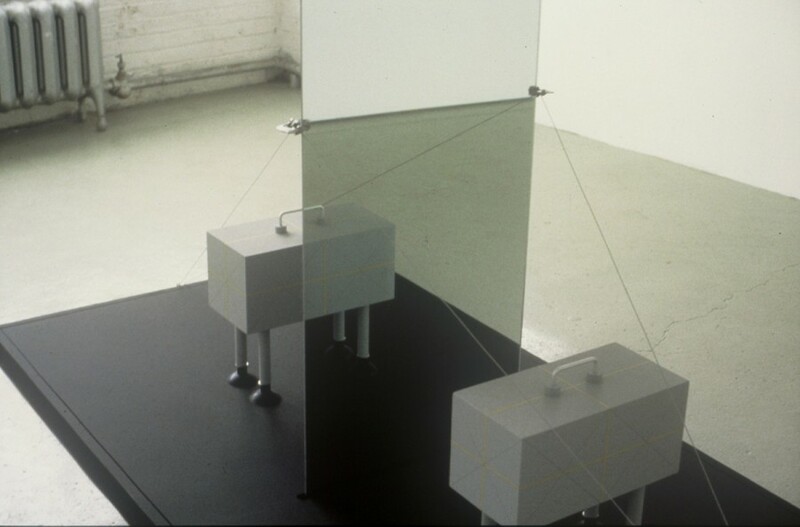 The theory is activated into a dialogue with the presence/entrance of a person into the room where the machine is installed. 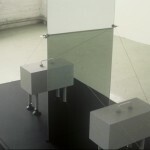 I have attempted to distinguish between the “theory” of reflection and its imagined “re-cognition” in order to magnify the significance of bodily presence in relation to abstract/scientific theory.